Planned Parenthood will immediately stop accepting reimbursements for fetal tissue donations used for medical research, a response to the outcry over undercover videos released by a group opposing abortion. In a letter Tuesday, Planned Parenthood President Cecile Richards told National Institutes of Health Director Francis Collins that the decision is meant to stave off GOP attacks. "In order to completely debunk the disingenuous argument that our opponents have been using - and to reveal the true political purpose of these attacks - our Federation has decided, going forward, that any Planned Parenthood health center that is involved in donating tissue after an abortion for medical research will follow the model already in place at one of our two affiliates currently facilitating donations for fetal tissue research," Richards said. The affiliate she referred to accepts no reimbursement, even though a 1993 law permits abortion providers to receive reimbursements to recover their costs. The law enables women who have had abortions to donate fetal tissue for research. "Going forward, all of our health centers will follow the same policy, even if it means they will not recover reimbursements permitted by the 1993 law," she added. The decision, Richards said, is meant to "take away any basis for attacking Planned Parenthood to advance an anti-abortion political agenda." The move comes after anti-abortion group, the Center for Medical Progress, released multiple undercover videos over the summer showing Planned Parenthood officials discussing the transfer of fetal tissue. 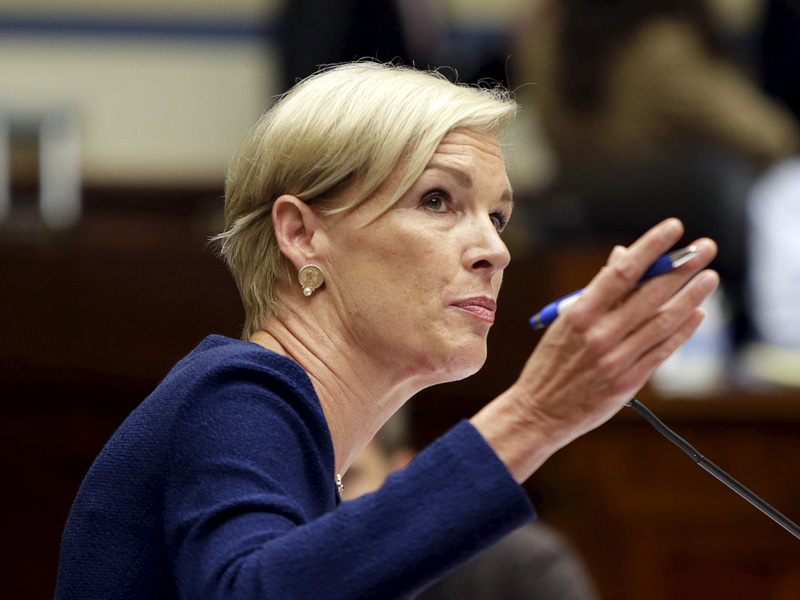 The group has accused Planned Parenthood of profiting from them. A number of the GOP presidential candidates and congressional Republicans have called for months for Congress to cut off funding to the group. "The real goal of these extremists has nothing to do with our fetal tissue donation compliance process but is instead to ban abortion in the U.S. and block women from getting any health care from Planned Parenthood," Richards said about the Republicans. Efforts to slash its funding have so far been unsuccessful. Congress passed a short-term spending bill in September that extends Planned Parenthood's federal funding through Dec. 11. Instead, GOP lawmakers are intent on using another legislative vehicle to cut off its mandatory funding.